Writing interactions from your mobile device has never been easier. 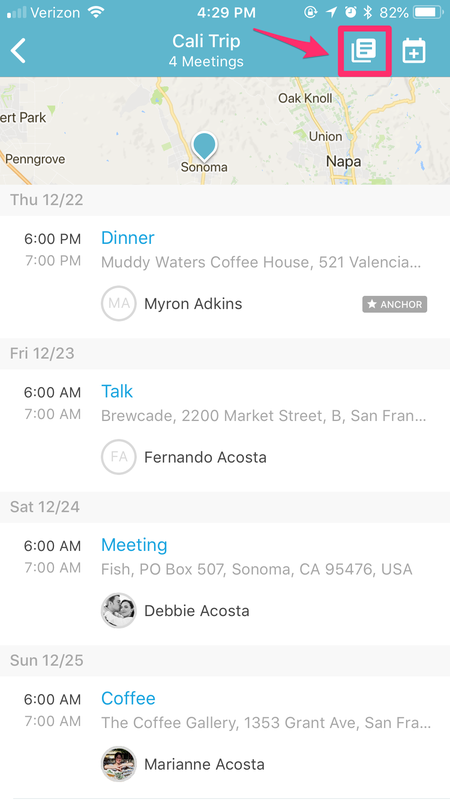 Log interactions while you are on the road on the iOS or Android EverTrue Advancement app. 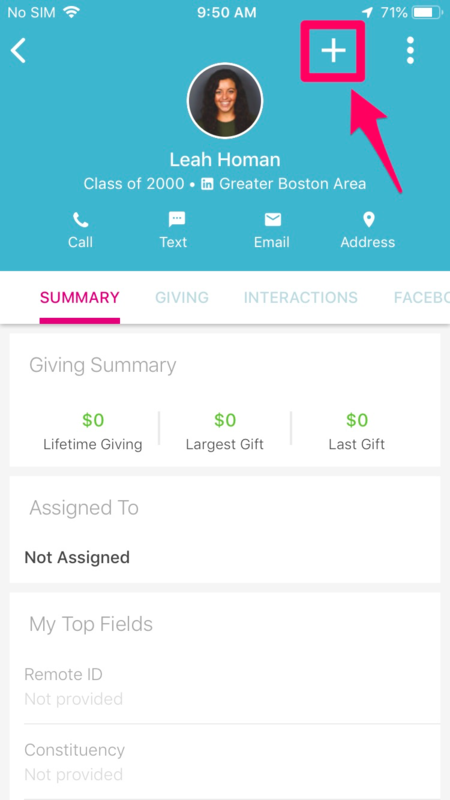 You can download the iOS app here and the Android app here. To learn how to write interactions on the web platform, you can learn more here. 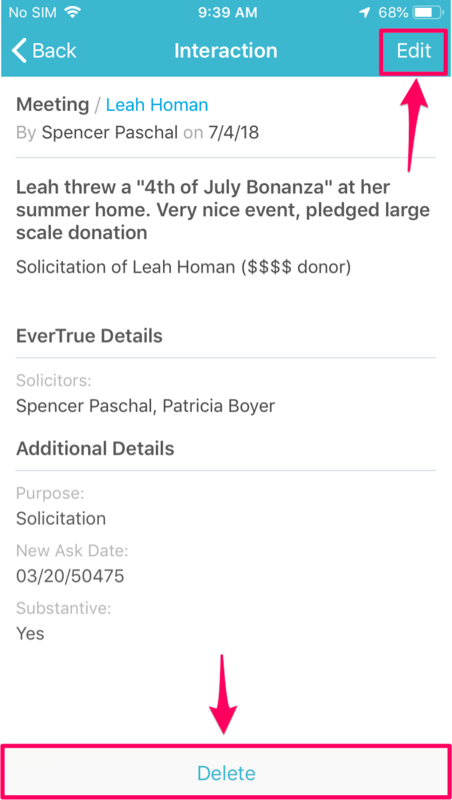 You can write an interaction by clicking on a constituent profile and using the + button in the top right corner. You'll see a pop-up menu at the bottom of your screen with different action items. Select 'Add Interaction'. Note: The interaction writing form is based on a custom format designed by your institution. 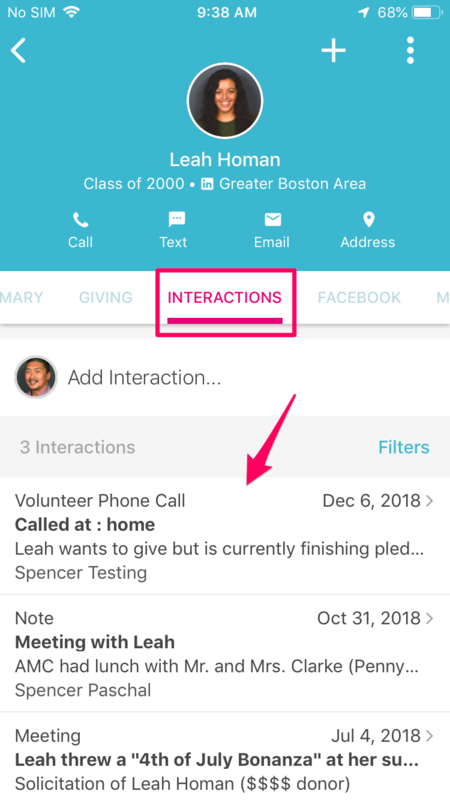 You can easily edit or delete an existing interaction by going to the Interactions tab on the constituent record, and then clicking on the interaction you would like to edit or delete. Clicking Edit at the top right of the screen will bring you back into your institutions Interaction writing form. To remove the Interaction completely, click Delete at the bottom of the screen, and once you've confirmed that you want to delete the interaction, you're all set! In the My Trips module of the app, select your trip. To log an interaction and/or see other interactions you have previously logged on this trip, click the notepad icon in the top right corner. Note: If you log an interaction on a trip, the interaction will then be given a label indicating which trip it relates to. You can write an interaction by clicking on a constituent profile and using the + button in the top left corner. You'll see a pop-up menu at the bottom of your screen with different action items. Select 'Add Interaction'. Once in the interaction you would like to Edit or Delete, click the Pencil icon at the top right of the screen. When you click this icon, a menu will appear at the bottom of the interaction with the options to either Edit or Delete the interaction. 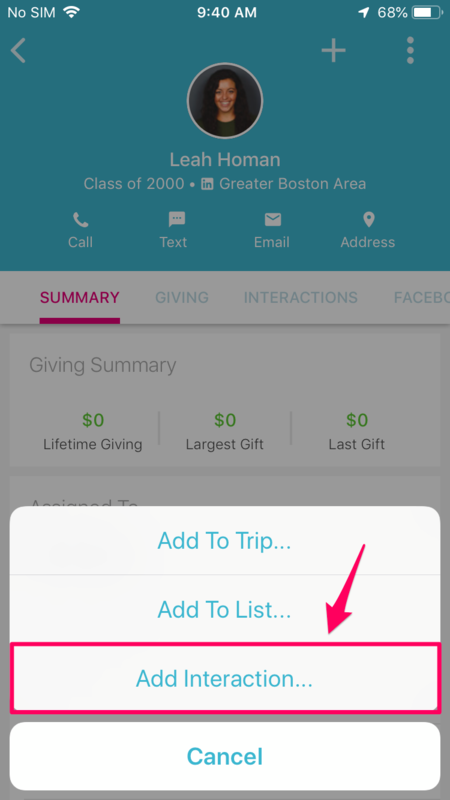 You can now add a trip interaction in Android. In My Trips, select the trip you would like to write the interaction for. Click on the ellipses icon (...) at the top right of your screen, then select "View Trip Log." Note: If you log an interaction on a trip, the interaction will then be given a label indicating which trip it relates to. Once you've clicked "View Trip Log" you will be brought into a screen with "Trip Interactions" at the top. You will see any interactions or comments already created for this trip. Click the plus sign (+) at the top right of your screen, and then "Add Interaction."